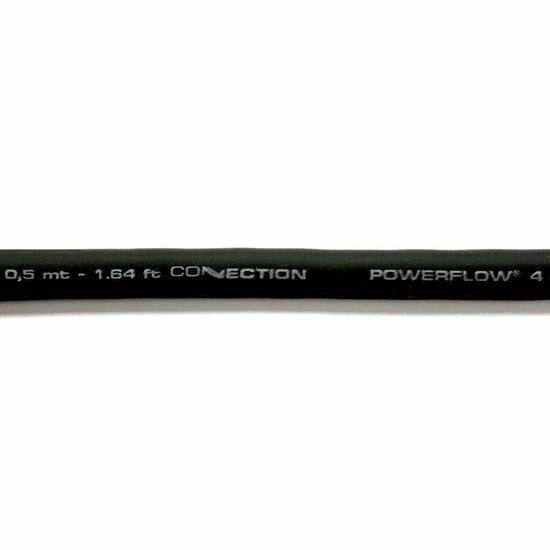 Power flow cable PF 4 BK.2 by Connection with SOFT TOUCH™ jacket to enhance the feel and flexibility. Orange and black matt solid finish jacket for enhanced cosmetics. Resistant jacket against abrasion, heat and chemicals. Seven strand multiple twist construction, for high efficiency current transfer and to reduce voltage losses. X2 Flexibility for “COMPETITION” installations.